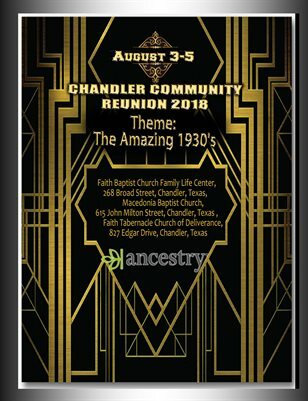 The 2018 Chandler Community Reunion was held August 3-5, 2018. Those honored was those born in the 1930's. This magazine recognized those honored during the event.